JASMINE's Story is one account of a Black girl who experienced exclusionary discipline due to what may described as aggressive behavior. She discusses how her participation in Sister S.A.G.E. helped to shape and refine her assertiveness, leadership skills, cultivate personal desire and build lifelong supportive friendships with other Black girls and young women. Monique W. Morris, Ed.D. is an award-winning author and social justice scholar with nearly three decades of experience in the areas of education, civil rights, juvenile and social justice. Dr. Morris is the author of Pushout: The Criminalization of Black Girls in Schools (The New Press, 2016), Black Stats: African Americans by the Numbers in the Twenty-First Century (The New Press, 2014), and Too Beautiful for Words (MWM Books, 2012). 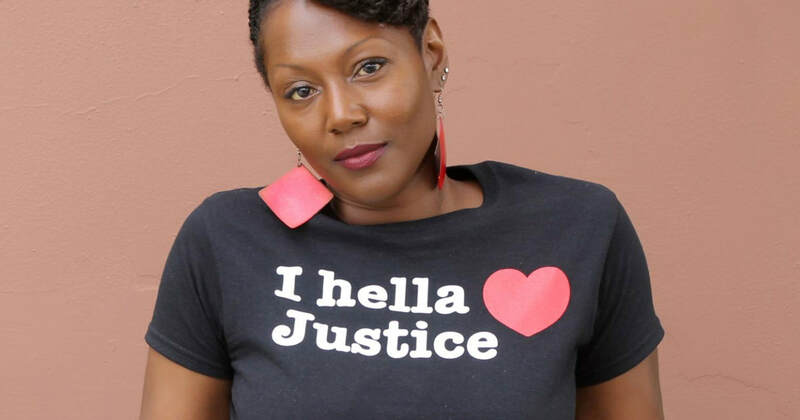 She has written dozens of articles, book chapters, and other publications on social justice issues and lectured widely on research, policies, and practices associated with improving juvenile justice, educational, and socioeconomic conditions for Black girls, women, and their families. Dr. Morris is the Founder and President of the National Black Women’s Justice Institute (NBWJI), an organization that works to interrupt school-to-confinement pathways for girls, reduce the barriers to employment for formerly incarcerated women, and increase the capacity of organizations working to reduce sexual assault and domestic violence in African American communities. Dr. Morris is a 2012 Soros Justice Fellow, the former Vice President for Economic Programs, Advocacy and Research at the National Association for the Advancement of Colored People (NAACP) and the former Director of Research for the Thelton E. Henderson Center for Social Justice at the UC Berkeley Law School. She has also worked in partnership with and served as a consultant for federal, state and county agencies, national academic and research institutions, and communities throughout the nation to develop comprehensive approaches and training curricula to eliminate racial/ethnic and gender disparities in the justice system. Her work in this area has informed the development and implementation of improved culturally competent and gender-responsive continua of services for youth.